« The College Scorecard – It is about time! Don’t sequester your marketing budget! We’ve all been there and seen it. An organization is facing a tough stretch. Maybe the business cycle isn’t in its favor. Maybe a competitor has emerged. Maybe there is a new CEO on board who wants to assert his/her direction on the company and show results quickly. What is the easiest way to improve profits for the next quarter? Just cut any investments that aren’t expected to pay off in the short term. Many times this is research and development, but it is often marketing budgets that first feel the pressure in bad times. Particularly market research. Research projects take time and money, acting on their insights take time and planning, and the payoff from the projects is typically down the road. There are some great anecdotal stories of companies that, during a rough stretch, invested heavily in marketing and came to dominate an industry. 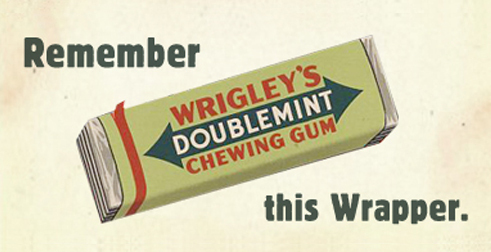 During WWII, because of wartime rationing, Wrigley’s could not obtain enough raw materials to produce gum. Their production came to a virtual standstill but their marketing lived on. First, they shipped the product they could make to the troops overseas,and made sure domestic customers knew they were doing this. A Wrigley’s ad in this era showed an empty wrapper with the tagline: Remember this Wrapper. When the war ended, Wrigley’s quickly reintroduced their brands, and went on to dominate their categories for decades. It is a brilliant example on how marketing intelligently in a difficult time, and keeping a long term perspective, can pay off. More recently, before the stock market downturn that occurred just before and after 9/11/2001, there were dozens of PC manufacturers vying for share. Dell had begun to emerge as one of the most successful ones. Dell realized they were in a better position to weather the downturn and saw an opportunity. They kept their prices low, invested heavily in marketing. 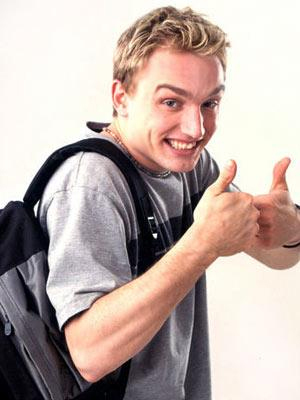 Remember this guy? During this time, Dell withstood the financial pressures to cut marketing investment. Post recession, while companies were going out of the PC business, or deep-pocketed large firms (IBM) were giving up on it, Dell was positioned as a major player. Within a couple of years, Dell was the world’s largest PC vendor. Much led up to this position, but increasing marketing investment in a difficult time had the effect of shaking up the market and leaving fewer players intact at the end. Interestingly, Dell’s current plan to become a private company is being done in large part to escape the short-term pressures so they can make better longer term decisions. They are struggling because being a public company prevents them from long-term thinking. The Wrigley’s and Dell examples show that keeping the long-term in mind in the midst of short-term pressures can pay off. But the spending has to be smart. In many organizations, the long-term takes a back seat. CEOs are under quarterly pressure from investors. Brand managers are in their jobs for just a few years before moving on, so they are looking for marketing seeds that will sprout quickly. Often it is the slow growing ones that yield the greatest results.